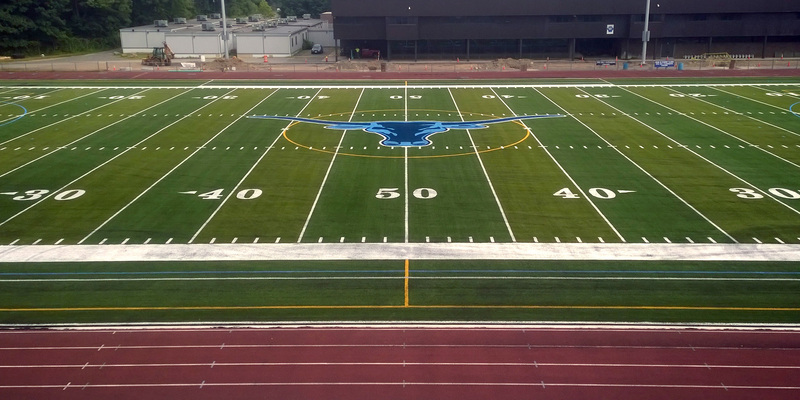 Huntress Sports coordinated the master planning, engineering, design and community participation efforts for the $1.5m renovation of Veteran's Memorial Stadium at Peabody High School. 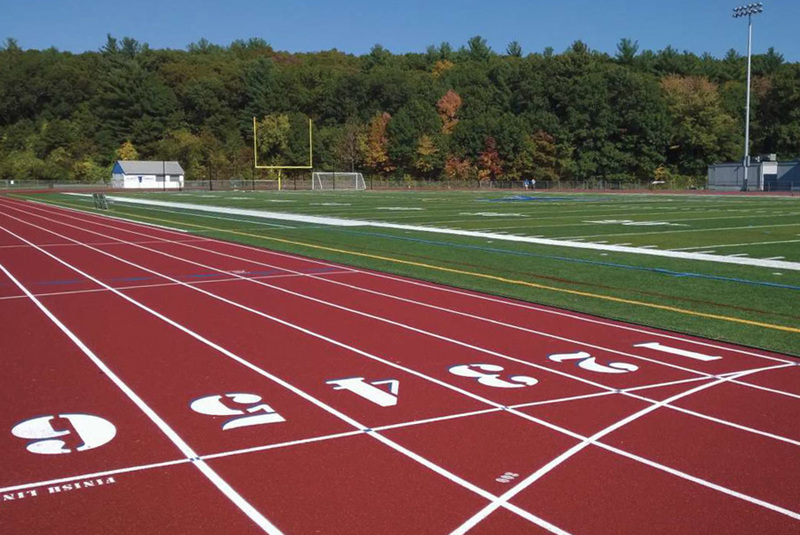 The stadium field was converted from natural grass to synthetic turf, and the six lane 400m track was expanded and upgraded with a new resilient surface, fi eld events, fences & sports lighting. 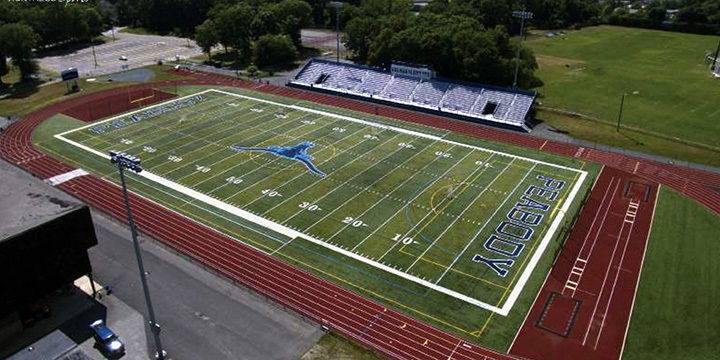 Working with the athletic deptartment, coaches and staff, HAI reviewed the athletic program needs, coordinate a thorough review of synthetic turf and track products and prepared detailed engineering plans, bidding documents and costs estimates for the upgraded facilities. The project was completed on time and within budget.